Some number of people feel ill, and they have no doubt that they feel ill, yet their doctors claim to find nothing wrong with them. Not uncommonly, the medicos will infer that “it’s all in the head”, and prescribe tranquilizers or placebos or the like. Sometimes they pretend to know what’s going on and offer a diagnosis that sounds technical and knowledgeable, like “irritable bowel syndrome” or “chronic fatigue syndrome”, but offer similarly non-specific treatment: sedatives, placebos, “avoid spicy foods”, “get plenty of rest”, etc. On TV, House featured a doctor who specialized in diagnosing difficult cases, obscure conditions. In real life, it may be that patients need to do the work for themselves. This blog post was stimulated by the experience of a friend’s daughter, “N”, a highly intelligent, capable, productive lawyer, who had began to experience episodes of pain, seizures, mental confusion. Local doctors couldn’t help. 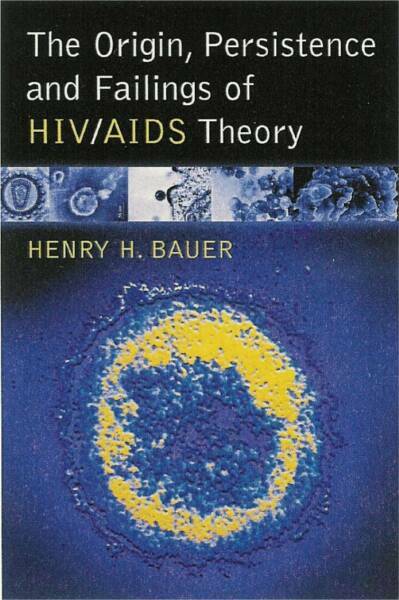 The renowned Mayo Clinic was also unable to diagnose and cure. So N herself researched the literature. The upshot is that she suffers from a very rare disorder, Hashimoto’s Encephalopathy (eventually confirmed at the University of Illinois Medical Center in Chicago), about which there is the typical official inconclusiveness: Does it really exist? What symptoms define it? Are there effective treatments? Hashimoto’s Encephalopathy is also known as Steroid Responsive Encephalopathy Associated with Thyroiditis or Autoimmune Encephalopathy — illustrating again the essential uncertainties about this. People who believe that they may have this condition can now turn to a patient-organized website which is about to publish a book of case studies, personal accounts, and relevant scientific papers. The wife of an acquaintance of mine, another lawyer, “T”, also enormously productive, came down a few years ago with what seemed like chronic fatigue syndrome. Again the official medical route did not bring help. Eventually T and her husband decided that the problem was Chronic Lyme Disease. Again there is controversy: Does this condition really exist? Doctors who have treated such patients with very long-term courses of antibiotics have sometimes been excoriated by the medical profession or even charged with malpractice — see Medicine isn’t science — nor should it be. Even with comparatively well-defined conditions, it behooves us to take responsibility ourselves for evaluating what our doctors tell us, by getting as much other information as possible. An example that I’ve noted before is M. Aziz’s research on vitamin D (Evidence-based medicine? Wishful thinking). After all, most doctors only know what official sources and drug companies tell them, and that has become increasingly untrustworthy — see e.g. “Don’t take a pill if you’re not ill”, “Everyone is sick?”, and the several posts on this blog about statins and cholesterol. Drug-based medicine is inescapably medicine for profit. No matter their propaganda and spin, pharmaceutical companies are motivated first and foremost by the need to make profits. They want to sell as much as possible at as high a price as possible, and therefore pay little attention to rarer conditions or to medications that would be used only for short periods, like antibiotics. They are on the lookout for “blockbusters” — drugs that people can be persuaded to take lifelong, like statins, anti-arthritics, breathing helpers for asthmatics and COPD patients, and most recently vaccines, which can potentially be administered to everyone (Deadly vaccines; Beyond Belief: Deadly vaccines for Africa and Asia). Many people do in fact take responsibility when they make us of “alternative medicine”, but the same caution is called for here, because most vitamins and other supplements are described and sold by individuals or companies who make their living from such sales. There are not many disinterested sources of information about alternative medicine. One such resource, an attempt to evaluate in an unbiased and evidence-based way, is Alternative Medicine — The Christian Handbook by Dónal O’Mathúna (research chemist) & Walt Larimore (MD), Zondervan (2001, updated 2006, Kindle ed. 2010). Many voices have been raised in many places for many years, about the many things that are badly wrong with drug-based medical practices. 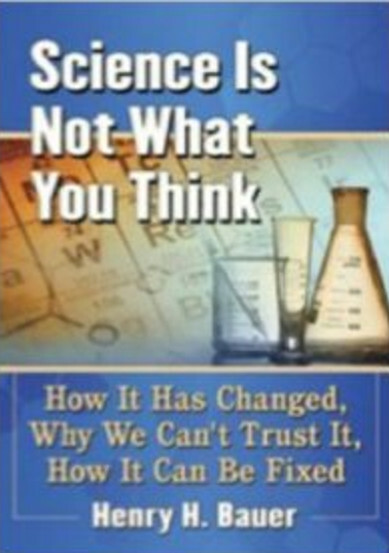 Dozens of books by well informed individuals have exposed the nefarious actions of drug companies, the lack of appropriate regulations and oversight, the damaging prevalence of conflicts of interest, the inadequacy of clinical trials, the failure to monitor drug safety and efficacy following approval and marketing, the disastrously inappropriate use of biomarkers as purported surrogates for clinical condition and prognosis . . . Yet nothing changes. Or rather, things keep getting worse because nothing changes, and they will continue to get worse unless drastic, revolutionary actions are somehow brought about. More dangerous drugs will be prescribed to more people, harming them physically and mentally at increasingly exorbitant financial cost. There is no good evidence that statins are of any benefit, specifically that they stave off cardiovascular disease or stroke — as acknowledged in peer-reviewed articles and the Institute of Medicine 2010 report, Evaluation of Biomarkers and Surrogate Endpoints in Chronic Disease. On the other hand, there is ample evidence that statins have very nasty “side” effects: mental confusion, loss of memory, weakening of muscles. “The number of Americans taking cholesterol-lowering statin drugs is set to double under new guidelines unveiled Tuesday by the American College of Cardiology and the American Heart Assn. But the peer-reviewed literature does not support the notion that statins “reduce the incidence of heart attacks and strokes” . [A]s is often the case with specialty societies, the groups behind these new proposals, the American College of Cardiology and the American Heart Association, are heavily dependent on financial support by drug companies to support their meetings. Moreover, members of their guideline committees often work as paid consultants or speakers for companies whose sales will be affected by the guidelines. About half the members of the committee that wrote the cholesterol guidelines had financial ties to the makers of statins . . . . Conflicts of interest are not just a matter of form; they do matter. Another problem: Instead of targeting cholesterol levels, the new cardiac guidelines target all risk factors that together would predict at least a 7.5 percent chance of a heart attack or stroke in 10 years – including age, smoking and high blood pressure. Thus, you might be subject to statin treatment even if your ‘bad’ cholesterol is quite low. But why take a drug designed to lower cholesterol if that’s not your problem? That seems nonsensical, unless there is very good evidence that statins have other, relevant effects. And that gets to the heart of the matter. Far-reaching guidelines should be based on strong scientific evidence from randomized controlled clinical trials. Without it, all we have is the opinion of a group that, even though expert, has a financial conflict of interest. The only sure benefit of doubling the market for statins is to the bottom line of the drug companies” [emphases added]. 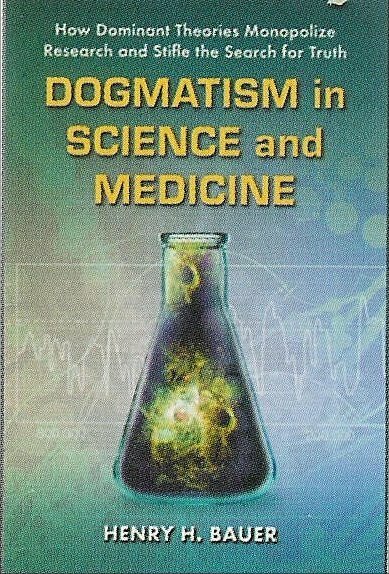 In this modern, “scientific” age, one believes any and all official pronouncements on matters of science and medicine at one’s peril; see Dogmatism in Science and Medicine as well as the many books about what’s wrong with present-day medicine. The solution has to be systemic: the whole system of drug research and approval and monitoring and marketing and prescribing has to be drastically altered, because what’s wrong is systemic, it is not the fault of any identifiable individuals or groups. Angell was quite right to point to conflicts of interest as a source of damage. But conflicts of interest are widely misunderstood: it’s generally assumed that conflicts of interest are harmful only if individual subject to them behave unethically by not resisting temptation. That’s a mistaken view (read the excellent discussion by Andrew Stark, Conflict of Interest in American Public Life, Harvard University Press, 2000). Conflicts of interest exert a statistically significant effect even if no one deliberately does anything unethical. I’ve used before the example of doctors who have financial interests in clinical labs prescribing more lab tests than doctors who don’t have such financial interests. But it is perfectly possible that the belief in the value of lab tests came first, and the financial investment later, so that the financial conflict of interest is not responsible for increased prescribing of tests. Nevertheless, the conflict of interest shows that a bias exists toward more testing. As to consultantships, research grants, and support for “medical education” by drug companies: The overriding effect is that there are congenial interactions among researchers, physicians, and drug-company personnel. Congenial interactions conduce to a sort of team feeling. Researchers and physicians come to regard drug-company personnel as nice people who are doing their jobs honestly and properly. That researchers and physicians with conflicts of interest associated with drug companies vote to approve drugs more often than people without those conflicts of interest merely reflects attitudes no more reprehensible than feeling like an integral part of an enterprise, being loyal to one’s group, “my country right or wrong” — attitudes that may be based on mistaken interpretations but that are in no way reprehensible, whereas it would be reprehensible to do for personal gain things understood to be bad. Within drug companies, specialization of roles also means that bad things happen even though no individuals do bad things deliberately. Managers naturally ask researchers to work on projects that are likely to bring the largest sales. Those conducting clinical trials believe reasonably enough that researchers have good reason to think their product is likely to be beneficial. Marketing staff rely on the expertise of the scientific personnel and can be enthusiastic about selling the drugs. So bias pervades the system, always in the favor of drugs and against looking with determined skepticism into actual efficacy and safety. The result is that over the last two or three decades, “blockbuster” drugs have increasingly turned out to be harmful rather than beneficial: see a list in Wikipedia and pp. 238-42 in Dogmatism in Science and Medicine. The evils of modern drug-based medical practice can only be undone by a thoroughgoing overhaul of the whole system, including — for a start — banning direct-to-consumer advertising of prescription drugs and the restricting of “accelerated approval” to what it was originally designed for, genuine life-threatening emergencies. Even good and admirable things can become damaging liabilities if taken to excess. More is not necessarily better. More food than we need to keep our best weight can be quite damaging. More power corrupts absolutely more. Economic growth is taken to be good, yet a number of innovations that stimulated growth turned out to be very damaging when taken over by “irrational exuberance”. The derivatives/sub-prime mortgages bubble that burst not so long ago continues a series of such bubble-burstings in financial matters, nicely recounted and explained in Galbraith’s A Short History of Financial Euphoria . The largely unrecognized reason is that when a useful activity expands, at some stage it may become quite a different thing. 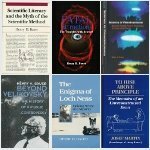 In the case of science, there is no question that “modern science”, a very good thing indeed in its time and place, has expanded tremendously during its lifetime of half a millennium — expanded exponentially, as Derek Price showed . It remains largely unrecognized that this lifetime of five centuries has seen at least three distinguishable eras, in the last of which “science” is nothing like what it was in the first era, in particular through the hegemony of ill-founded dogmas on matters of great public importance . That science has gone badly astray in certain fields and certain respects may not remain much longer secret since it has been noted in the much-respected The Economist : “modern scientists are doing too much trusting and not enough verifying — to the detriment of the whole of science, and of humanity. . . . shoddy experiments . . . poor analysis” . . . half of published research cannot be replicated . . . . [Only] six of 53 ‘landmark’ studies in cancer research. . . . just a quarter of 67 similarly important papers. . . . three-quarters of papers in . . . [computer science] are bunk. . . . roughly 80,000 patients took part in clinical trials based on research that was later retracted because of mistakes or improprieties”. Competitiveness is one of the reasons. Just after World War II, the world had a few hundred thousand scientists; now there are 6-7 million. . . . “publish or perish” . . . . “Every year six freshly minted PhDs vie for every academic post. . . . The hallowed process of peer review is not all it is cracked up to be”. None of this is new to me, or to readers of my books and blogs, but it is quite novel to see these points made in a respected periodical of wide circulation. Suggestions for amelioration, however, miss the main point, since they don’t address the central issue of competitiveness. None of those can fix what’s wrong, because what’s wrong resides in the traditional culture of science — seeking new knowledge — which has become dysfunctional owing to the enormous growth of the enterprise. As with bubbles in other human activities, the Science Bubble will have to burst before reform can be effective. There is too much “research”, done by too many not very competent people motivated not by truth-seeking but by self-interested careerism.